Looking for new recipes to get more vegetables in your diet? I’ve pulled together some personal favourites from my own recipe gallery. Enjoy! Thank goodness for Spring! It’s a time when I’m excited to swap out heavy “winter comfort foods” like baked pasta and stew for something a little lighter. I always look forward to fresh Spring produce. Farmer’s Market, here I come! If you ‘re a vegetable lover like I am, then you probably don’t have any problem eating enough vegetables. Thankfully, we’re all like that around here. But, winter has been a bit longer and harder this year, so I have some making up to do (if you know what I mean). It’s okay, though. I welcome the change and definitely look forward to being more active with the arrival of warmer weather (even if it’s slow getting here). Spring has a way of calling me outside and my body is thankful for it. Looking to reboot? Want to sneak in more veggies? I’ve pulled together some personal favourites from my own recipe gallery. Enjoy! 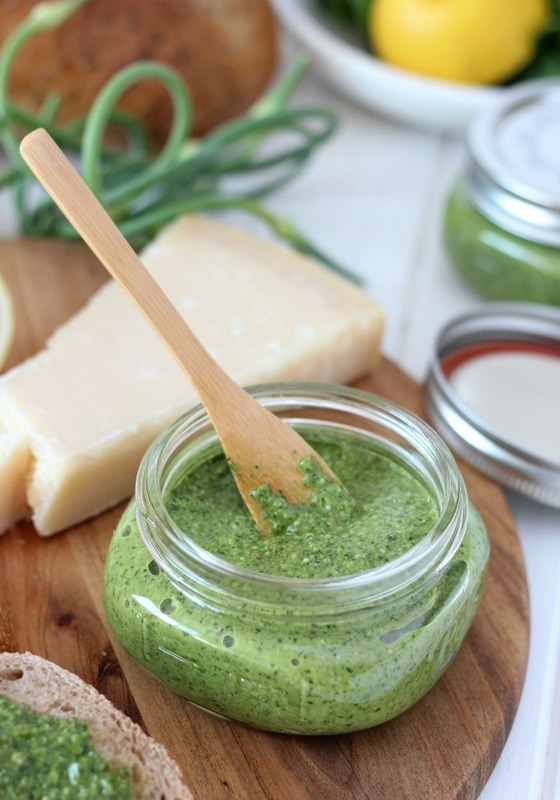 Add this Spinach Basil Pesto with Garlic Scapes to pasta, bread, chicken, tomatoes and more. So fresh and packed with antioxidants! 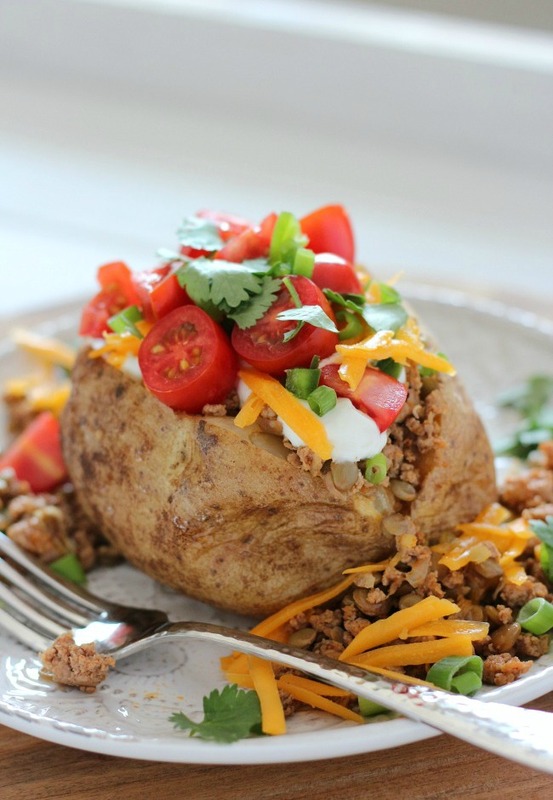 These Tex Mex Loaded Baked Potatoes are full of protein and fibre. Serve them up buffet style so the whole family can load up their favourite veggies, herbs and more. Delish! 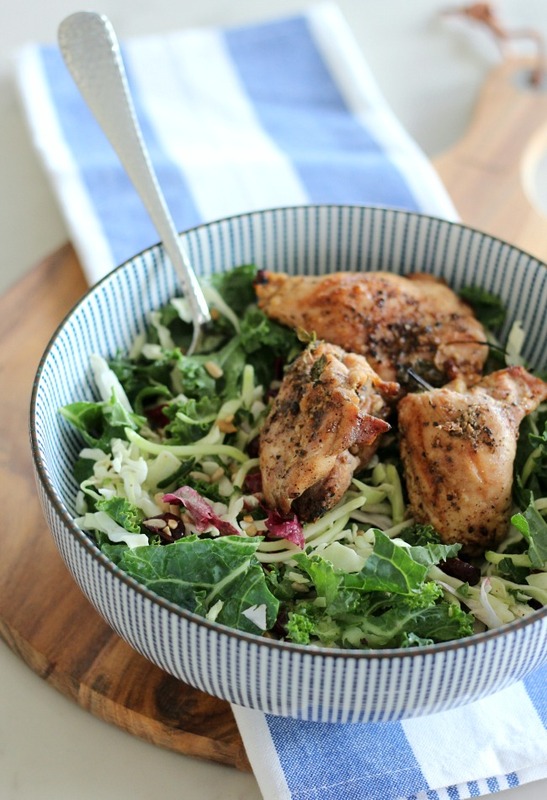 Short on time, then you’ll love this Herb Infused Grilled Chicken with Salad. Simply marinade over night and grill the next evening. Serve with a store-bought salad kit. Couldn’t be easier! Love mac & cheese? Substitute half the pasta with roasted cauliflower. 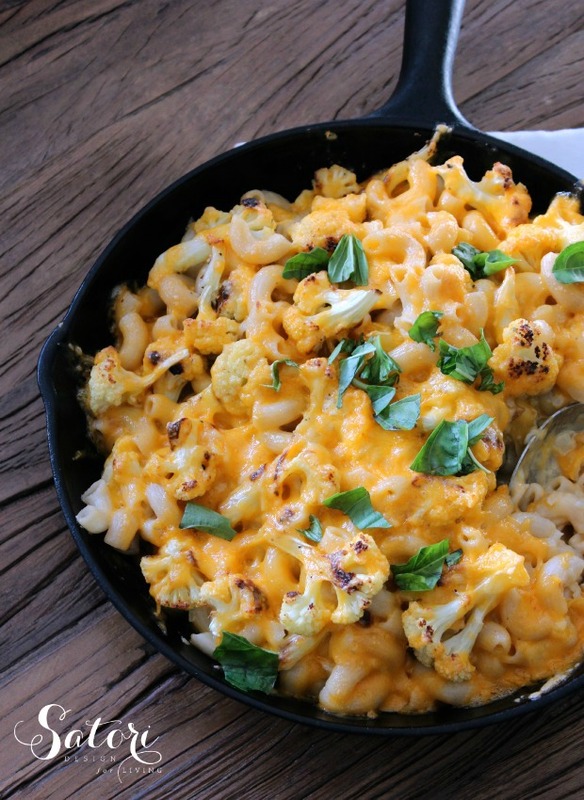 We LOVE this healthier version Roasted Cauliflower Mac and Cheese. Yes, please! Planning a small get-together? 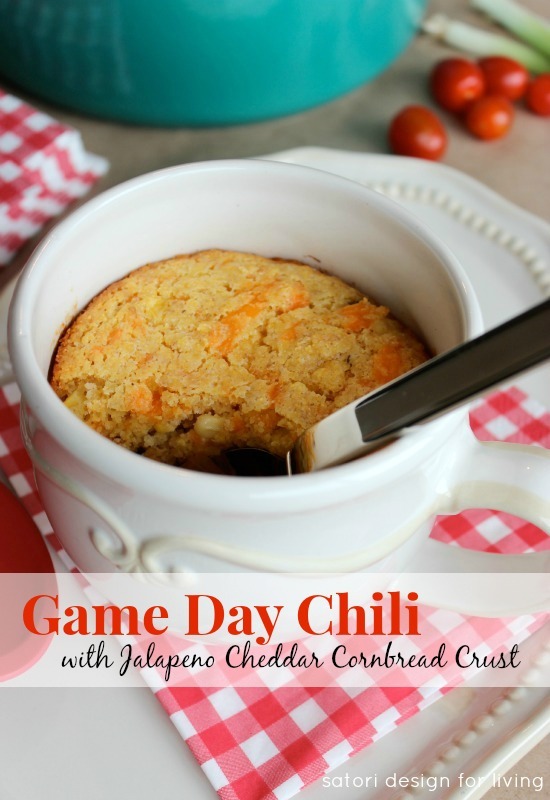 This Chili with Jalapeño Cheddar Cornbread Crust is a total crowd pleaser. Loaded with vegetables and tons of flavour! For cooler days, check out this Borscht or maybe you’d prefer this Slow Cooker Chick Pea Curry. Both can be made ahead of time and stored in the freezer. Handy and healthy! 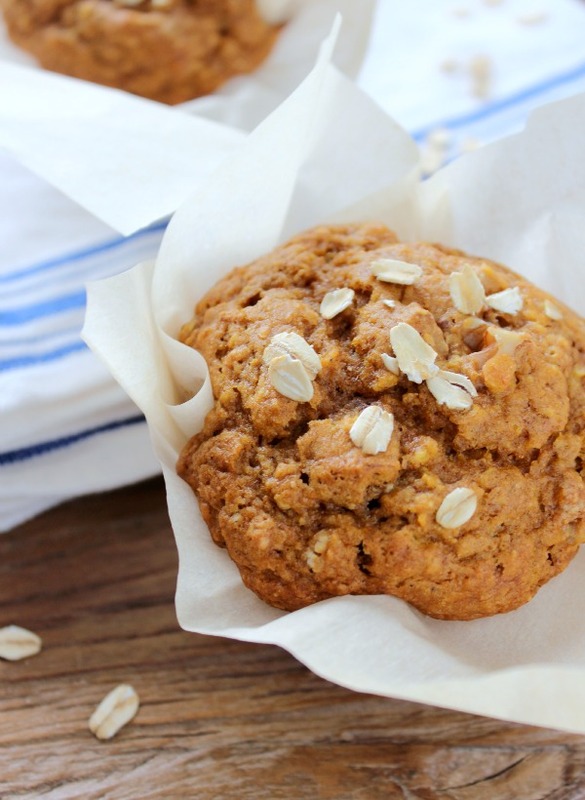 These Pumpkin Oat Muffins are absolutely delicious! Whip up a batch and pop them into the freezer for busy mornings or school lunches. Ever tried adding veggies to your brownies? 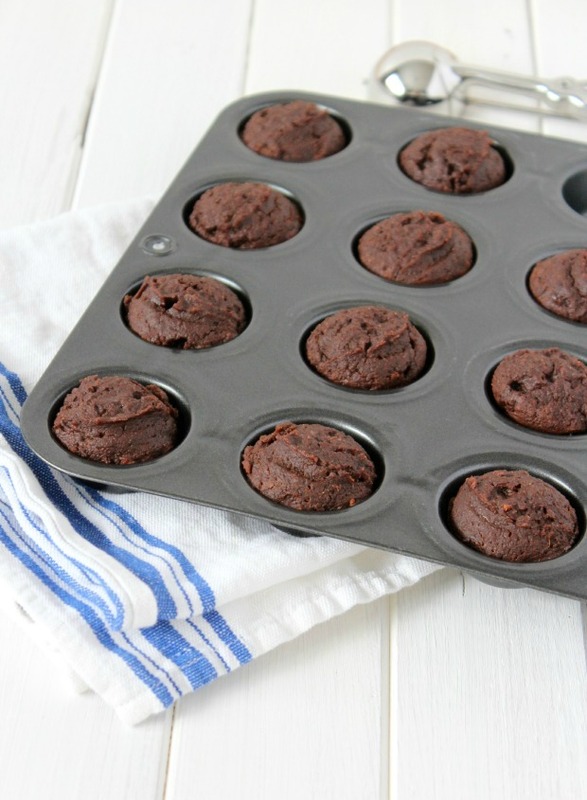 These Sweet Potato Brownie Bites are so moist, scrumptious and satisfying! Finally, who can resist carrot cake? 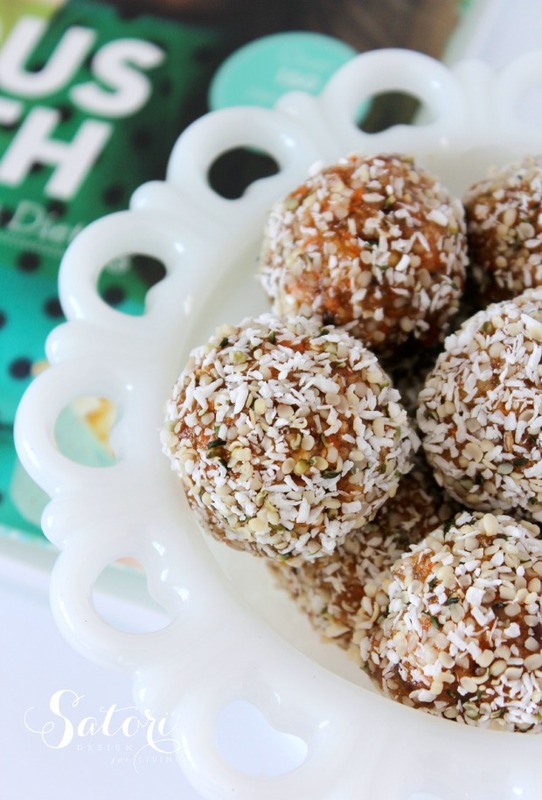 These Raw Carrot Cake Balls are much healthier, yet totally delicious. I’m hooked! 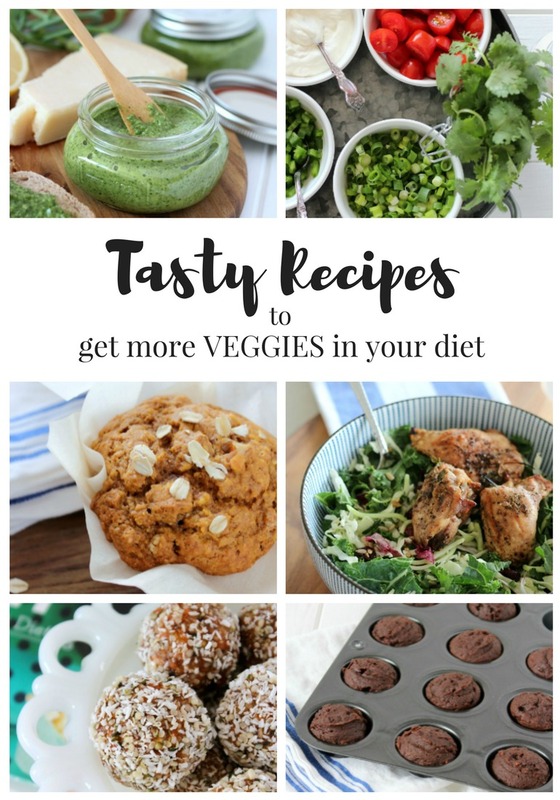 I hope you enjoyed these Tasty Recipes to Get More Vegetables in Your Diet. Which one are you going to try first?